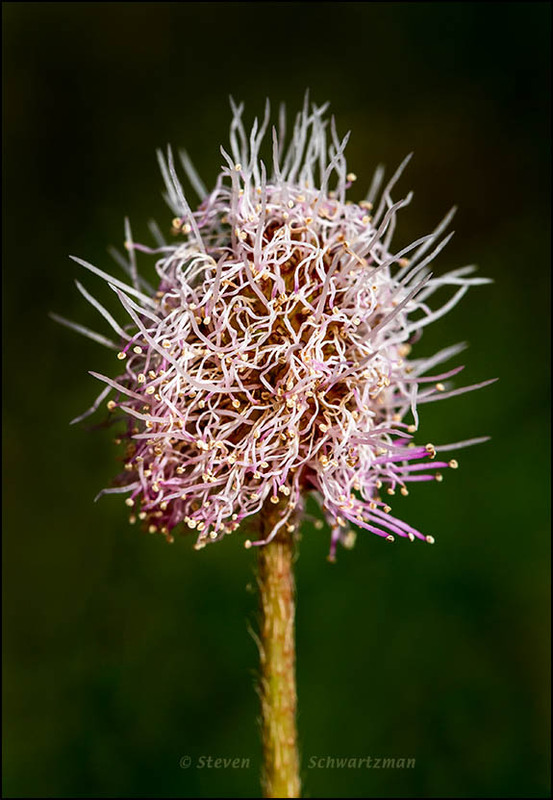 Over the years I’ve photographed pristine flower globes of Mimosa roemeriana, the sensitive briar. On October 7th in my neighborhood I photographed a little pink globe of that kind but also the more bedraggled one you see here. The chaos is visually appealing, don’t you think? Very appealing but it does remind me of my hair style first thing in the morning ~ a hair style I find hilarious, rather than appealing. For some my hair would be just plain frightful. Your morning chevelure provides no great allure? And my hair is really on end after the big earthquake just after midnight!!!! It was hair raising. All well, though. Who’d have predicted that the “frightful” in your first comment would so soon come true? We’re glad to hear you’re okay. Indeed. I should be more careful with my words. Have you seen any of the photos of the damage to the landscape around Kaikoura? Dramatic. At your prompting, I looked at some photos just now. One shows damage to shops in Picton. A few days after we left Christchurch last year we reserved a night at a hotel in Blenheim. After we checked in late in the afternoon, we took advantage of the remaining daylight and drove partway down the coast toward Kaikoura, but made it only as far as Kekerengu, about half way to Kaikoura, before turning back toward Blenheim. I have clear memories of a lovely drive down the coast, having chosen, for a change, the route that passes inland, just to the west of the seaward Kaikoura Range. One of the big slips that partially filled one of the valleys was right there, and I think I recognize the spot. How very lucky that more people weren’t injured! Right: considering the magnitude of the earthquake, the damage to people and property could have been much worse. Indeed, it is beautiful, Steve. Very nice image! It still amazes me how even at life’s end some blooms take on a different form, and yet still hold their beauty and awe. Some species fade, dry out, come apart, wither, collapse, etc., in distinctive ways that I, like you, find quite appealing. I wish field guides showed not only the pristine stages of species but also the later ones, which often last longer and are therefore the ones we more often see. It’s especially nice that the whole range of stamens still is present: from fresh, pink ones, to those faded and colorless, to the already browning. I like the thread-like appearance, but I’m certainly glad I don’t have to untangle them. It looks to me as though Gallivanta posted her comment just a few hours before the earthquake hit. I’m presuming she’s out of range of tsunamis. I image there are a lot of people with their hair standing on end at this point. Oh, I hadn’t heard anything about the latest earthquake in New Zealand until you mentioned it. Gallivanta lives in Christchurch but not near the coast, so tsunamis aren’t a threat to her, but her house could have sustained some damage from the quake itself and the aftershocks. I just e-mailed her but she may have lost electricity or her Internet access. As for the sensitive briar, I agree that the mixture of stamens in different conditions makes for a good image, one that contrasts with my usual portrayal of a fresh flower globe. Thanks for your vote of confidence, Mitza. A close crop of this would make a fantastic jigsaw puzzle! If you have the wherewithal, you’re welcome to make that jigsaw puzzle.